To understand what Prime Minister Shinzo Abe is up against in trying to spring Japan from the deflationary trap stunting its economy, consider the pushback by its most prominent industrialist Akio Toyoda at the wage negotiating table this month. Toyota Motor Corp. had told its union last week that it would be difficult to increase monthly base wages even by ¥1,000 ($9) — about the price of a bowl of ramen noodles — because global conditions were harsh, its workers were already relatively well-paid and there’s been little inflation in Japan, according to people familiar with the negotiations and a labor group newsletter reviewed by Bloomberg News. That was in response to the union’s request for a ¥3,000 raise, which was already smaller than the past two years, when Japan Inc.’s largest company earned record profit. Toyota’s resistance is the latest indication that the virtuous cycle sought under Abenomics — in which wage growth, higher consumption and price hikes combine to drive sustainable economic growth — may be stalling. Economists expect more of the same on Wednesday, projecting Japanese companies will offer slimmer raises to union workers than last year. Toyota will offer ¥1,500 monthly raises to its union, Managing Officer Tatsuro Ueda told reporters Wednesday, half the increase requested by the labor group. The carmaker’s affiliates Daihatsu Motor Co., Hino Motors Ltd. and Toyota Auto Body Co. will boost salaries by the same amount, Ueda said. Nissan Motor Co.’s average raise will meet its union’s ¥3,000 request in full, according to an emailed statement. Honda Motor Co. agreed with its union on ¥1,100 raises, spokesman Ben Nakamura said. Mitsubishi Heavy Industries Ltd., Hitachi Ltd. and Panasonic Corp. are among the companies matching Toyota’s ¥1,500 salary increase, the Nikkei reported Wednesday. Last year, Toyota increased base salaries by 1.1 percent, compared with the 0.44 percent average of 219 companies in Keidanren, Japan’s biggest business lobby. Wage negotiations this year were “hardly aggressive,” Luc Everaert and Giovanni Ganelli, officials with the International Monetary Fund, wrote in a blog post Sunday. Toyota shares have declined 19 percent this year, compared with a 12 percent drop for the benchmark Topix index. Japan’s unions pared back wage demands early this year as the yen strengthened. 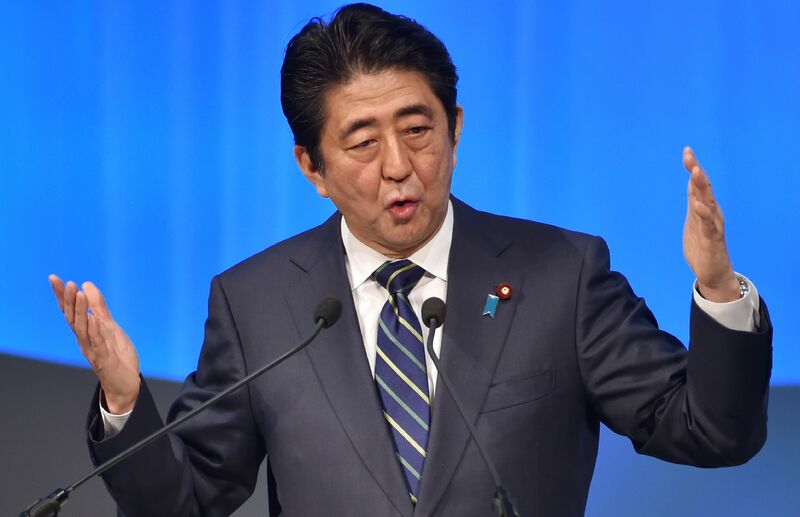 Abe and his hand-picked Bank of Japan Gov. Haruhiko Kuroda had implemented policies that would weaken the currency and benefit exporters , including Toyota, by making their goods more price-competitive and boosting the value of earnings from overseas sales. Kuroda made the case Tuesday that economic conditions are all in place for wage rises, even as the central bank downgraded the economic outlook. He’s emphasized previously that pay increases hold the key to successfully boosting spending and inflation after years of stagnation. 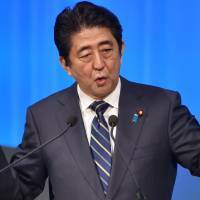 Japan’s economy shrank in the final three months of last year, the fifth quarterly contraction since Abe returned as prime minister. Gross domestic product declined an annualized 1.1 percent, and falling private consumption was the biggest drag on the economy. Workers in Japan eked out a 0.1 percent raise in 2015, while incomes dropped by 0.9 percent after adjusting for inflation. Real earnings have declined for the past four years, holding back consumer spending. “The main reason for stagnant consumption is that households are on the defensive,” Junichi Makino, chief economist at SMBC Nikko Securities Inc., wrote in a March 11 report. The BOJ surprised Makino by maintaining its negative 0.1 percent interest rate Tuesday, as the economist expected the central bank to take further action in response to weaker wage hikes and the stronger yen. The BOJ indicated more asset purchases and adjustments to its negative rate remain on the table after holding fire on further stimulus Tuesday. Kuroda said he doesn’t have to wait to see the full impact of the negative rate before his next move, and language in the BOJ’s statement indicated a downgrade in its assessment of the economy, adding to expectations for a move between April and July. For Toyoda, president of the automaker that his grandfather founded, the decision on how much to give its workers didn’t come easy.